GROCERY SHOPPING WITH MR. & MRS. CBB + Jr. If you want to become a smart shopper plan to invest time into your grocery shopping experience otherwise you’ll be spending money you don’t need to spend and saving less than you should be. Knowing the ropes when it comes to the grocery store is a big deal especially if you are on a tight budget. A fan asked me how they could become a smart shopper like my wife and I have become over the years which caught me off guard. I thought I’ve shared just about every smart shopper trick that I could think of over the years but I haven’t shared exactly what we do. I’m putting together this post to share how we go about grocery shopping to keep our monthly budget at $235 a month for 2 adults and one toddler. I hope by the end of reading this post you feel as if we all grocery shopped together. My aim is to virtually take your hand to have you become a smart shopper by following grocery tricks we’ve learned over the years. 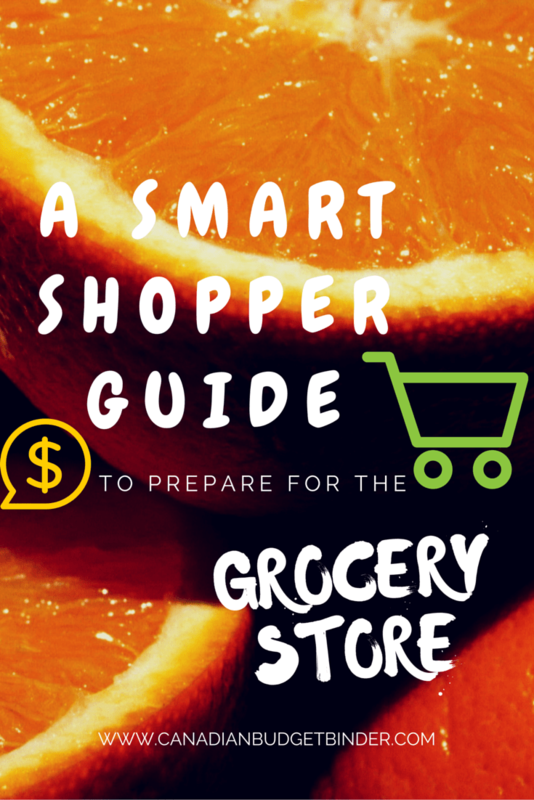 Going to the grocery store may be terrifying for the first time grocery shopper but for those of you who are seasoned shoppers it’s fairly straight-forward once you understand the road map from point A to Cashing out. Here’s what it takes to become a smart shopper like us but remember that it takes time and the more you practice the easier it gets. Eventually you will tune out all the marketing ploys that encourage you to spend more money than you wanted to. Things have changed since we had our son because we don’t have the time we used to in order to plan lucrative coupon adventures at the grocery store. To be honest though with the technology craze for coupon apps these days limiting coupon use has hardly changed the way we save money. 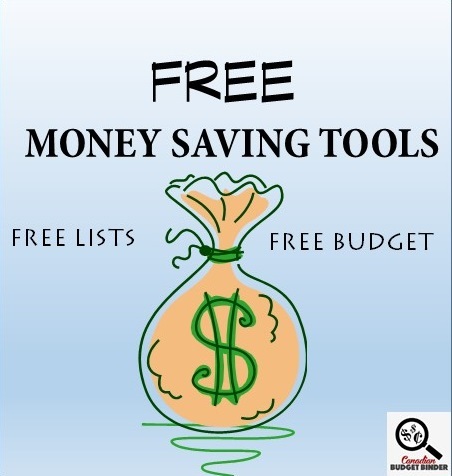 If you’re into couponing you’ll notice that there aren’t as many coupons available as there once were and the amounts they’re worth aren’t much to get excited about either. I know in the past I’ve said saving something is better than nothing. I still believe in this concept but it’s not coupons winning the savings battle these days. If you are able to coupon stack you’ll likely disagree with me which is fine because we can’t stack coupons in Ontario but if we could I’d certainly be on that train as fast as I could be. Coupon stacking has huge savings benefits for the smart shopper. On that note I’m going to take you through the process my wife and I take to plan our grocery shopping so we are able to continue with a low grocery budget. It’s Thursday…that mean’s the grocery flyers are in our mailbox by 5pm. I’m usually the one who gathers up the roll of flyers and brings them in the house. If I haven’t tripped over them because our not so smart paper boy decides to throw them on the ground under the mailbox I may even get them in good condition. There have been days I’d have to play catch because they were on our front lawn, down the side of the house and on the windshield of our neighbours car. I’m not kidding! Anyhow these days I think it depends on his mood but none the less the grocery flyers are a huge influence to our shopping trip. If you’re not a fan of waiting for actual flyers to flip through you can use the conveniently named “Flipp App” on your smartphone which will have all the weekly flyers in your area and compare prices for you on products you need. Although Flipp is a great app the wife and I prefer the old-fashioned way of planning our shopping by reading the flyers together with a cuppa tea, pad of paper and a pen. We’re becoming our parents…we always joke about that. Before we read the weekly flyers we take a quick inventory of what we have in the pantry, refrigerator and read our freezer inventory list. This enables us to sort out what we need to stock up on if we can find a good deal and what we immediately need because we are all out or close to it. This takes us about 15 minutes to complete. These days if you want savings from grocery stores that offer points programs like the PC Plus Points or the Shoppers Optimum and Metro online rewards you need to load them. I’m sure there are plenty more I haven’t mentioned but you get the idea. This takes mere minutes to do but it’s important to make sure we maximize on all the possible weekly savings that we can. Yes, we still use the occasional coupons but we don’t spend much time collecting them like we used to in terms of online trading. We do scour the grocery store as we shop and if we see a coupon that catches our attention we will grab a couple of them. Like I mentioned they aren’t as lucrative plus we have a stockpile in our basement that will keep us going for a few more years. We don’t count health and beauty in our grocery budget but we’re well stocked including laundry products. This takes us about 15 minutes to look online for printable coupons etc. One of the biggest mistakes shoppers make is creating a generic grocery shopping list. Have you ever found someone’s shopping list in your grocery cart? I did last week and I took it home to read it because I’m nosey. What I found was a list that was without any sale prices which leads me to believe the owner of the list did not review the grocery sales. I know many of you may write products you need and you can memorize what store has the best prices but leaving it up to the memory is a sure-fire way to go broke. I’ve provided free printable grocery shopping lists that you can print and use to make things easier. We use them to write our grocery list BUT we make sure we include brand names and sale prices. If we don’t know the price of the product we need we write it in as a product we need pending price. We are pretty good at figuring out what prices are the best prices and those that we can hang onto until the next sales cycle rolls around. In the event the store is out of a sale item we always make sure to get a rain check IF the store offers them as they don’t all have this great perk. This process takes us about 10 minutes to scan the flyers and write down the products we will hopefully be buying or price matching. We normally like to grocery shop on Monday evenings after dinner if we can but sometimes we shop early or even at the end of the week because flyer sales overlap at some grocery stores. The name of the game for us is to go when everyone else is at home eating dinner or doing something other than shopping. The worst thing to do is shop when the store is busy because you can easily lose your focus with crowds surrounding you. If you find you are in that situation try to go down the quiet aisles to regroup and figure out where you still have to shop and what you are looking for. Pick a day and time that works for you and your family and think about how and what distractions might deter you from reaching your smart shopper goals. Choosing to shop after we eat a meal helps us to curb overspending. Don’t shop hungry. Before entering the store you may notice product sales placed outside and in the lobby where the grocery carts are. Don’t turn a blind eye to these sales as they may be reduced or blowout sales. It’s easier to target the shopper with products they need to move fast before they step foot into the store. I’ve been able to score great deals on winter road salt, garden plants and much more. The first thing the wife and I do is get a grocery cart to buckle our little guy into for his travels around the aisles. While I’m doing that my wife is over checking the coupon board for any new coupons. We tend to split up when we grocery shop to save time. We’ve already addressed what we are buying so we know what to look for. 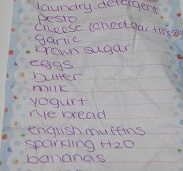 Since we split up we have 2 copies of the grocery list which makes finding products faster too. The perimeter is your friend. Keep telling yourself that and you’ll be fine. Put your ‘Reduced Radar’ on and you’ll find all the in-store deals going. That means get to know your store and how they mark down products. You’ll be able to spot reduced product labels and blow-out specials while super scanning the store. That’s how we do it. If there is no need for us to go down an aisle, we avoid it although we have found some smashing deals down those naughty aisles. Not every product down the aisles are bad for your budget so pick and choose wisely where your money is being spent. Most often we circle the perimeter of the store and a few aisles before we cash out. The wife and I pretty much know where all the reduced racks and sections are in the grocery stores that we shop in so we always make sure to check them out. If we find something we whistle or call for each other to come see the product. We don’t venture off from each other too far because we like to call each other if need be. If we score a great deal we review our grocery list and grocery budget to see if we can afford the deal. If not, it goes back. If yes, we quickly talk about it which ends up.. ya get it, no we don’t need it. Then we move on. If we are in Zehrs we typically take a run through the clothing section quickly to see what kids clothing they have marked down but we don’t spend too much time in there. I’d say tops we are in the grocery store for 25-30 minutes because we split the task between us. It also depends on how big our grocery list is to determine shopping times. If at all possible we try not to talk to anyone unless they know us or ask for help which I am more than happy to give. Sometimes we stumble across the sample person who we may make small talk with, try the product and ask for coupons if we liked it but that’s about it. Depending on the sales for the week we may grocery shop at one store or travel to a few. The name of the game for us is to be prepared for anything. That means don’t forget the diaper bag, which I’ve done. If the store offers Free fresh fruit for our boy we make sure to grab him an apple or banana for our in-store travels which seems to keep him happy. If there’s no fruit we get him a Free cookie from the Zehrs bakery or we bring snacks. That’s a little treat for him when we are out and he enjoys it and it. When we get to the cash register we often use a cashier as we have reduced products which tend to take longer to ring up at checkout scanners as the main cashier has to tend to us personally to scan in the reduced items. For us that wastes valuable time so it’s easier to visit a cashier. Plus we enjoy conversations with the cashier and our son likes putting products on the belt and pushing the conveyor button when it’s time to pack our re-usable bags or boxes offered by the store. We try to involve him in the grocery shopping experience as much as we can. I’m sure I’ll be writing an update post about grocery shopping with a toddler because as he gets older the process gets a bit tricky. Trying to keep a child engaged takes patience and prep work. Not every parent has the luxury to grocery shop alone so it’s important to the success of the grocery shop as well. If you aren’t doing this yet you must add it to your to-do list BEFORE leaving the grocery store. The last think you want happening is having to return because a product rang up higher than it should have. Even though you may have a Scanning Code of Practice incident on your hands it’s easier to deal with it on the spot rather than having to call when you get home. I’ve had to make that call before and although everything went down smooth it was still a pain in the backside. When we didn’t have our son in tow it was easy to watch what the cashier was doing and if we noticed an error it would get corrected on the spot. These days we are trying to cash out and get our son through the process with the least amount of hassle which means a receipt review is ever so important before we exit the building. If all else fails and you find an error just call the store and let them know. They are always happy to accommodate missed pricing errors especially if you speak to the manager. Whatever you do if the store is out of a sale item and you know you need it or will need it in the future by all means ask for a rain check from your cashier or from customer service if they offer them. Leaving without one when you need a product only means you will have to pay more for it when the stock does finally arrive. We’ve got better at asking for a rain check and the thrill of it sometimes means we end up stretching our savings to the next month. If you are an eagle eye and can spot empty sales bins or shelves you may be able to score a rain check. You may not need the product now but if you know you will in a month or so the rain check is handy to have. Before we head out the door we make a pit-stop at the automated teller machine to get some cash out from the bank while we can. Since we bank with PC Financial it’s convenient to have the in-branch bank available to us while we grocery shop. There have been many times we needed some help and the lovely PC Financial employee was always there to help us. We don’t miss the traditional bank at all and have banked with PC since the beginning. Well, my wife has because it was hard to pass up no fees. I don’t blame here some of the fees banks charge in Canada are outrageous. Pick and choose your banking battles wisely. Options are out there. Normally my wife will pack the groceries in the vehicle and put the shopping cart back while I am strapping junior into his car seat. Before our boy came along I would do the packing of the groceries and she would return the shopping cart. Anything we’ve ever done we’ve completed as a couple if possible. Grocery shopping can still add up to about an hour from start to finish depending on how much you have to buy, whether you are waiting for help from staff, long line-ups, technology malfunction at the cash etc. For the most part we aim for one hour to get in and get out. If by chance I grocery shop alone because I go after work I do my best to get in and get out. Even though that’s easier said than done I’m still working on this part of the smart shopper plan. Don’t give up and never give in unless you find yourself faced with a hell of a deal. When we finally make it home I bring all the groceries in the house while Jr. CBB is out playing around the vehicle or in the garage with his toys. We are parents who have toy stashes just about everywhere to keep junior busy. My wife puts the groceries away while I’m hanging out with our boy. This creates less distraction for her which means the job of putting groceries away happens faster. 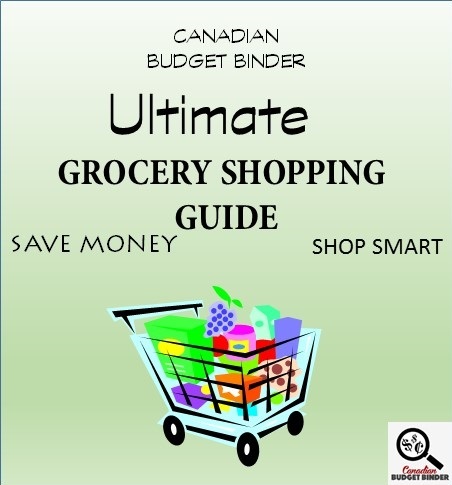 After all is said and done we put our grocery receipt in our Canadian Budget Binder folder ready for end of month budget calculations and the weekly grocery game challenge post. All of these steps have helped us to become the smart shopper family that we are today. Without putting a plan in place grocery shopping would cost us much more and we’d like not be mortgage free today if it weren’t for our smart shopping ways. Don’t take for granted the obvious when you are faced with money-saving opportunities. Do you consider yourself a smart shopper? Why? We are still over this month however we are catching up little by little. I’m sure April will be the month to sort this over-spend once and for all. Some great sales this week but we didn’t have the cash to jump on them. We did stock up on plenty of fruits and vegetables. The 2016 Federal Budget is in: What Does it Change for You? Now that summer is on its way hot dogs will always be on sale till probably sept as the competition is on for each company to out do each other. I have found a couple sales and then the Get My Offers from sobeys/air miles I can sometimes save 50% off a package helping the cost of a quick and easy meal. We only have one fridge and one deep freeze downstairs and I would love more but that only fuels my shopping 🙂 But they are usually full and I am okay with that but I know hubby wants to have them emptied out. We came very close to our goal of clearing the overspend from January by the end of March. No we didn’t quite get it to zero, but it will be. I could list a million and one excuses, but really it comes down to it was a goal and we came close. I know it is only a matter of a short time and we will start having a carryover again instead of an overspend. Great two months! This week we needed some protein. When our family goes to the fridge and freezer, open and close the door a dozen times, we’re hungry and not filled enough, usually that’s from lack of protein. So, we needed some meat. I redid the weekly menu plan because of it too. Chicken was right away, then a couple days later my son made a lovely pulled pork, then I turned the roast into stewing beef (it was cheaper to buy the roast and cut it up myself, the stewing meat was outrageously priced) and I made a lovely stew that we had two meals from. But, all of the protein we got is gone, so it will have to be replenished quickly. Bread clearance is always great because it saves me having to get a loaf ready to go. As much as we love fresh bread and the lack of preservatives and other stuff in it, sometimes it’s nice to just have a loaf and go. This was especially important since I got a great deal on the bologna for a large pack. School lunches made easy, woo hoo! We don’t buy legumes often. We used to with the intention to use it, but it always sat there. It may be time to look into it again. Mainly we make our own bread, we buy it only from time to time so that I have something if we can’t keep up. Our best deal on bread is when we get to the Weston’s outlet an hour away. It’s only a month away when we go and I am hoping for a decent stock up. April will be a big spending month since I know we are starting to run low, but not terribly low yet. I am just trying to figure out how I can eat healthier this month, less carbs and pastas. It is too rough on the body, looking at getting some of my beans hydrated. But, the focus on healthier eating will be in a month when I can focus on it lol! The time is coming to a close on my education. 2 1/2 weeks and it will be all over and then time to hit the streets again to get a job in my new field. It’s exciting! Weekly Overview (your final thoughts) over for the week but under for the month!! Third month in a row!! Not sure how long I can keep it up but I have a good size cushion built up for now. We went to Food Basics as hubby had an appointment in town and wanted to prowl the bulk store and Dollarama, both are right by the Food Basics store so we went in. I was hoping to score a couple of sirloin tip roasts they had on ad but there were none to see. This was the second time this has happened but I got a rain check for two roasts and hope they have some next time I go there. It really was a sorry looking meat counter to be polite. I love when you say you are under for the month and I honestly am amazed given the higher prices you are faced with and occasional trips into the city to go to No Frills. Awesome. I guess you just answered my question from the last GGC post you submitted where I asked if you ever go to Food Basics. 🙂 Reading my mind were ya? Ya Food Basics doesn’t have the best meat counter. Where did you get the Royale Coupons? Great deals and coupon usage this week. 🙂 You get ballot #31. 🙂 Have a great week. We went to Food Basics this trip as hubby was with me and he wanted to go to Country Bulk which is right by the Food Basics…lol!! The Royale coupons were in the pack from Juanita, our fave coupon fairy!! I’ve hit some good sales lately to help with the budget, hopefully I can keep things stocked up nicely as the year goes…. hi. I actually don’t really prepare for a grocery shop, except I read the store flyers, and if we happen to be close by, we stop in and stock up on that sale item. If we miss it, usually not a big deal, because I most likely still have some at home. The barbeque sauce, just happened to be in a ‘reduced to clear’ cart at a little town we were diving thru. Today we thought we’d go for a drive…and the sale was 400g cheese for $1.97 (bought 6) , bought 15 kiwi for my daughter…at 7c each. I don’t always do these things before going to the grocery store, but when I do take the time to do them I definitely save more money and end up with better ingredients and a plan to use them all up so we don’t waste any food or money. •	Total under spend for the year: 202.70! Weekly Overview : So I am going out on a limb to say this is working… I am under this month again. Initially when I set my goal at $500 I thought it would be tough. I had been consistently spending between $600 and $800 a month before the challenge. But this year I have been able to stick to my budget by meal planning based on deals, having %50 off my meals be vegetarian, sticking to my list, making food from scratch and shopping only once a week. If I run out of something tough. I make do, or substitute as needed. Even though I work full time this has worked and we still eat out only once in a while. So I have made a decision I am going to cut my grocery budget down to $450 a month. That is $5400 per year down from $6000. So we had : Vegetarian Chinese fried rice, Chicken stir fry, Barbequed Pulled pork sandwiches, macaroni and peas, Barbequed Pulled pork on rice, Creamed spinach and poached eggs with mash potatoes. Ham dinner with scalloped potatoes, brussel sprouts, fresh biscuits, sautéed onions, apple crisp and lemon cupcakes. So For next week I have a choice of- spaghetti, Ham, ham quiche, ham and bean soup, Chicken stir fry, Pork fried rice, Mushroom omelets. We had quinoa chili, Beef Roast with potatoes & broccoli, salmon cakes. I have started a new diet (low carbs/high protein). Sorry I’m way behind. Really got thrown off by entertaining my fam on Easter. The stress got too me and I’m losing track and eating out too much. Good thing about fessing up though is that I see it wasn’t as bad as I thought with the groceries and it is possible to still make it through the month on budget. Well, I thought I would finish without an overage but no such luck. At least it is a small one! I’ll get that cleaned up in April. 4 x Bunches of Radishes (4 for $3) << let the crunchfest begin! I buy my corned beef in the US after St. Patrick’s Day I can usually get a $25-30 brisket on sale for $8. Yes buy my radishes with greens. I takes a few minutes to wash and trim everything but they are generally much nice than the bagged ones. I got the eggs rain check when they were all out on a late Saturday afternoon. Hubby and I each asked for rain checks so that we could get 2. 🙂 There are advantages to us shopping together! I love how you just gave me a blog post idea! 🙂 I’ve been the the USA once and it took forever to get over the border so I haven’t been back since. Overview: I believe that the overage will be done next week. I’m so close to clean up that shop to Wholesale Club. Even without having that overage, there really wasn’t much that we needed so it was a relatively small shop. No, I haven’t used many coupons as I find most of them are for things that I don’t buy/like. Yes same here plus they aren’t the same as they used to be. I will look at the app Reebee for the flyer deals as my household doesn’t get flyers delivered. I’ll “clip” the deals that I see but at the end of the day, I also write down all the grocery items that I need to purchase. I do that so that I can make notations of price matching that I’m going to do and make note of the store’s regular price to see how much of a savings I’m getting by price matching.